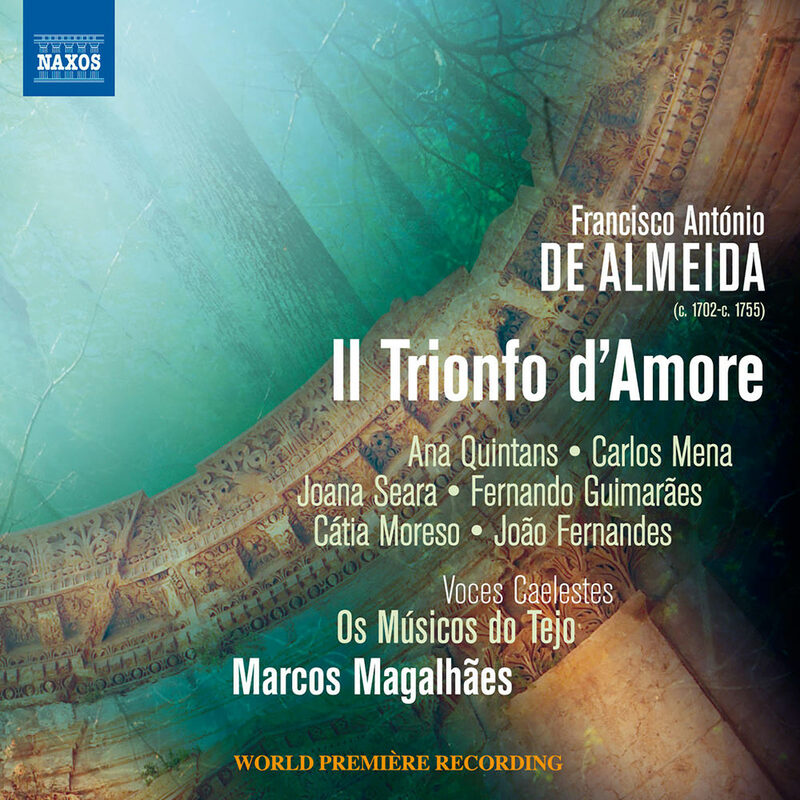 This release marks the world premiere recording of Il Trionfo d’Amore, under the direction of Marcos Magalhães, director of Lisbon-based early music ensemble Os Músicos do Tejo. First performed in 1729 in Lisbon in honour of King João V, Francisco António de Almeida’s stage work is musical and festive, intended for special occasions in the court. With the exception of Spanish countertenor Carlos Mena, the entire cast on this album is Portuguese. "Il Trionfo d’Amore is a very beautiful work. We’re happy that it will be finally accessible, thus making our musical heritage available not only for us in Portugal but also for an international audience."